Miller announces Lozeau as its newest dealer in Canada. Lozeau, a family owned and operated photography and camera sales company founded in 1927, has an established history in Montreal. Its strong reputation has allowed the company to work with renowned photographers and has forged valuable partnerships within the camera support industry. Lozeau began selling Miller products in January 2018 following a dealer event where Lozeau sales and purchasing employees were personally trained by Miller staff on its product line being sold. The line of Miller camera support sold by Lozeau now includes the DS10 and DS20 Fluid Head product line, AIR, CompassX and the ArrowX3 range of offerings. 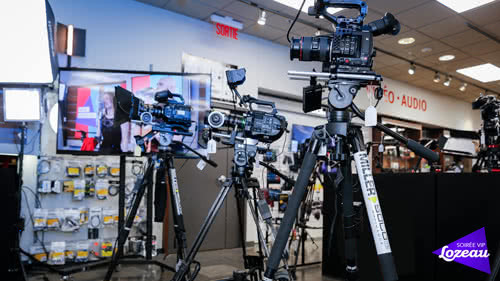 These Miller solutions have been relied on by photographers, videographers and industry professionals for the products’ high-quality, reliability and ease-of-use. Miller endeavours to progressively increase local support to customers in Canada by extending its dealer network to most major Canadian cities. Along with its latest addition, the company also continues to strengthen relationships with existing dealers, such as Leo’s Camera.